Whether you want to create a power of attorney for healthcare, financial, or general purposes, I am here to help in Statesville, NC. A power of attorney is a document that gives you the ability to appoint another person to manage your affairs if you were ever to become unable to do so. Keep in mind that there are many different types of powers of attorney, and each serves a specific purpose. For example, if you choose to create a healthcare power of attorney, the person you appoint has the right to make medical decisions on your behalf if you were to become unable to make these choices on your own. Whether you want to create a power of attorney for healthcare, financial, or general purposes, I am here to help. As your attorney, I am committed to maintaining your best legal interests and to providing you with unparalleled legal guidance and advice in Statesville, North Carolina. Please remember that even if you have prepared a will and finalized the specifics of your estate, your planning for the future is not complete unless you acquire a power of attorney of some sort. In most cases, I recommend that my clients sign at least a medical and financial power of attorney as part of the estate planning process. When you turn to me, I will go over the advantages of each with you and help you make the right decision for your particular situation. Please contact my office today to set up a time to discuss your estate planning needs with me, W. Sloan Goforth, Attorney at Law. I look forward to helping you prepare for the future with my legal services. 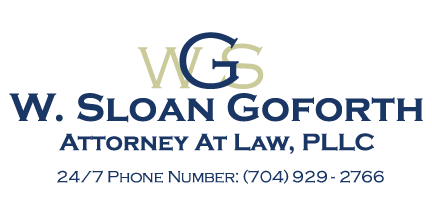 At the office of W. Sloan Goforth, Attorney at Law, we can help with preparing powers of attorney for residents of Statesville, Troutman, Taylorsville, Mocksville, Mooresville, Hickory, Iredell County, Alexander County, and Davie County, North Carolina.